Buy online Haze v3.0 Vaporizer in the Vape store | Vawoo.co.uk! Minimum quantity for "Haze v3.0 Vaporizer" is 1. Do you want a quality vaporizer that you know can count on to give you the best possible vaping experience? Then you know that you have come to the right place. Here you can find out everything you need to know about the Haze Dual V3.0 Vaporizer as well as finding out if the vaporizer is the right one for you. 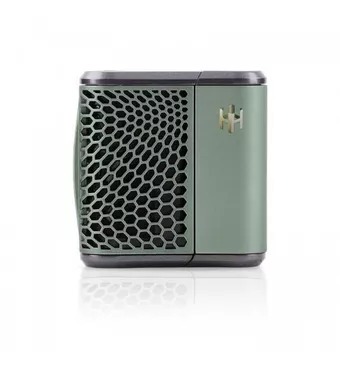 Of course, the best thing about the Haze Dual V3.0 Vaporizer is that it comes with a patented heating technology and this is ideal if you want to have a rapid heating time. It also has a rechargeable battery and a lithium ion replaceable battery as well. On top of this, you will also find that the Haze Dual V3.0 Vaporizer comes with a stainless-steel convection screen and some conduction screens as well. This gives you the chance to take advantage of a more customisable experience. Of course, you also have the chance to use any dry materials so you know that you won’t have any issues there. You can also insert the preferred screen that you want or even the can that you want as well so you know that you won’t have any issues at all when the time does come for you to get started. Haze features both stainless steel convection screen and conduction screens, allowing for a more personal vaporizing experience. The conduction screen allows dry materials to have controlled exposure to the heating chamber; the convection screen is surrounded by four walls of stainless steel, but allows no direct contact between materials and the heating chamber. Insert preferred screen or cans into one or both heating chambers. Use the top switch to power on and select either chamber A or chamber B. Use the temperature selection button on the top of Haze to switch between 4 temperature options. When powered on, the LED light will blink several times to indicate that the device is in the process of heating. When the oven is at the selected temperature, the LED lights will remain solid, letting you know Haze is ready for use.